NEW ORLEANS  The blackout at the Superdome will not stop the Super Bowl from returning to New Orleans. 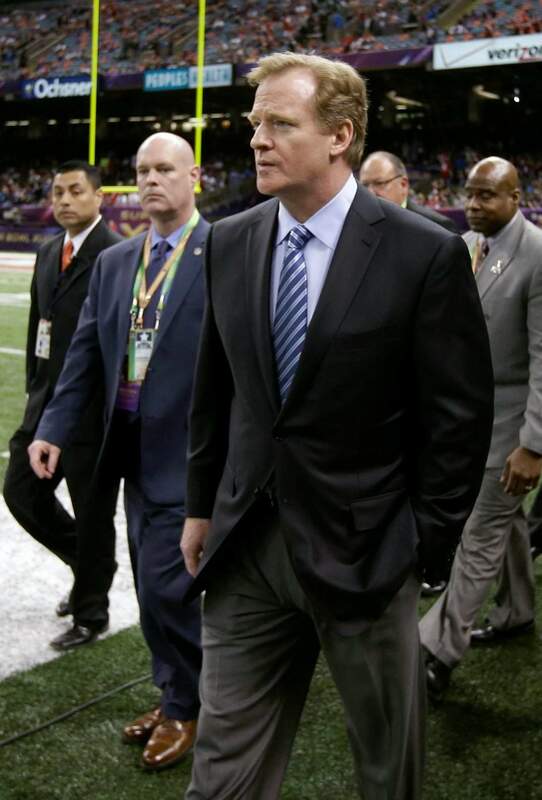 NFL Commissioner Roger Goodell said that despite the electrical outage which delayed Sunday nights game for 34 minutes, the city did a terrific job hosting its first pro football championship in the post-Katrina era. New Orleans has hosted 10 Super Bowls, including Baltimores 34-31 victory over San Francisco, tied for the most with Miami. While serving as the site of Americas biggest sporting event and focus of an unofficial national holiday gets any place a lot of attention, this game had special meaning for New Orleans. The city last hosted the Super Bowl in 2002 and officials were hoping this would serve as the ultimate showcase  on a global scale  of how far it has come since being devastated by Hurricane Katrina in 2005. The storm winds tore holes in the roof of the Superdome, and there was water damage from the rain that affected electrical systems and caused mold to spread. More than $330 million has been spent to upgrade the facility, which has hosted the annual Sugar Bowl, Saints games, two BCS title games and a mens Final Four since the storm. Yet the loss of power was an embarrassment that quickly became perhaps the signature moment of the Ravens win. Goodell said not to worry. Local officials have said they will bid to host an 11th Super Bowl in 2018 to coincide with the 300th anniversary of the citys founding. Goodell made it sound like that is still in play. For Goodell, it seemed, it was important to recognize how much fans and the leagues business partners enjoyed dining at the citys renowned restaurants, attending parties in the home of Mardi Gras, and the ease of moving around with everything centrally located downtown. It wasnt the first time Goodell has stuck up for the city. He widely has been credited with working behind the scenes to get the Superdome renovated on a fast track after Katrina struck. It reopened in September 2006, in time for the Saints to return permanently to New Orleans after spending one season displaced to San Antonio. Still, some Saints fans were critical of Goodells handling of the leagues bounty investigation of the team and resulting sanctions that included the full season suspension of coach Sean Payton. After all weve been through here in New Orleans, it seems like we cant escape the worldwide attention of these kinds of events, said Doug Thornton, vice president of SMG, which manages both the Superdome and neighboring New Orleans Arena for the state. It was an unfortunate circumstance at such a great moment for the city. I think the city was just spectacular this week. The host committee did a great job. It was a flawless event up to that point, and it was just a spectacular week. Thornton said nothing inside the Superdome malfunctioned, but that the stadiums power supply was cut off from a nearby substation, and that once power was restored, everything inside the dome resumed normal operation. Thornton also dismissed reports that the halftime show featuring Beyonce had anything to do with the outage, pointing out that that portion of the event was on independent generator power. In fact, Thornton said the domes electrical system, which has not once failed since the storm, used less power during the Super Bowl than a typical Saints game. Flacco also praised New Orleans as a host. The Ravens quarterback recalled how much he enjoyed getting out on Saturday and visiting the French Quarter to clear his mind the day before the biggest game of his life. During that afternoon he stopped by Cafe du Monde, on the edge of scenic Jackson Square, where locals and tourists alike enjoy French doughnuts with powdered sugar and cafe au lait.